The companies have partnered on a series of limited-edition cans and bottles. Will be available on sale at select distributors and in exclusive restaurants and cafés around Italy. And also in a special 330-ml version at Milan’s world exposition, currently underway, and at the Café Trussardi by the city’s Piazza della Scala, until the fair ends in October. A 250-ml version of the bottles will be on sale from August to September at select locations in Sicily. 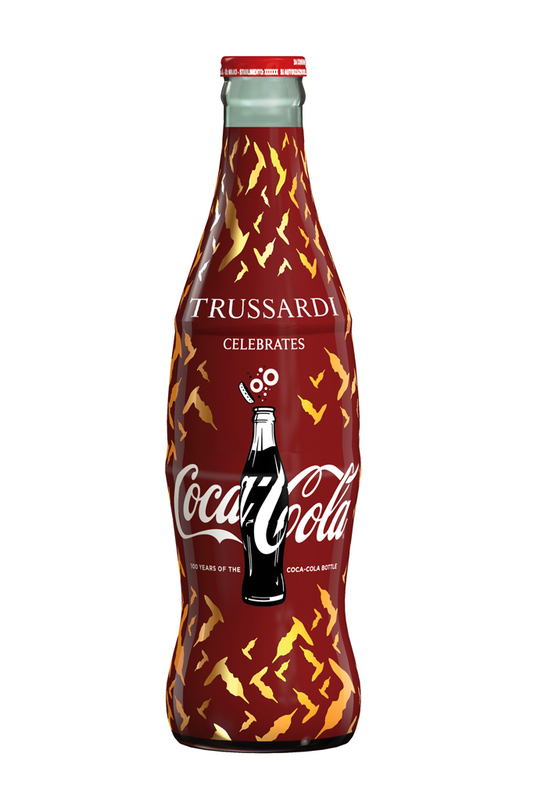 “We are particularly happy to extend our lifestyle to a global [colossus] such as Coca-Cola and especially to be the first to dress Coca-Cola, a brand which really is famous all over the world,” said Trussardi creative director Gaia Trussardi, calling the American company’s bottle and logo “cult” items.